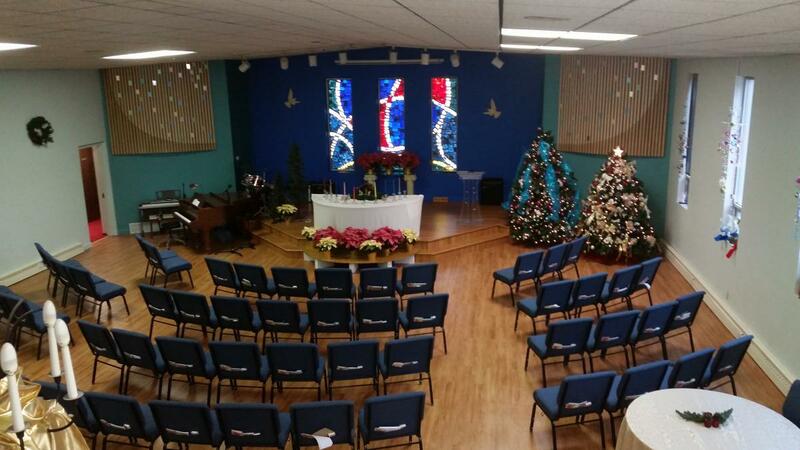 Our beautiful Sanctuary can seat 135 people and features a long, wide center aisle, stained glass and a spacious stage with stairs to help create your unforgettable moment in time. Seating can be arranged to suit your needs. 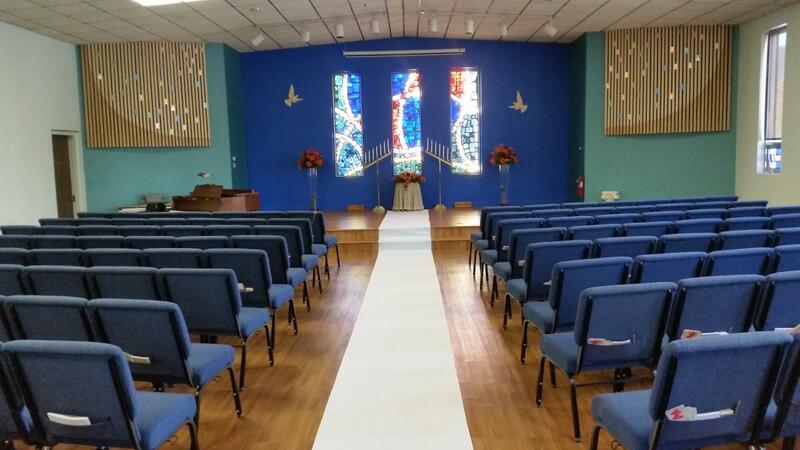 It is our goal to help you make your wedding a memorable occasion. For smaller receptions Harmony Hall will seat approximately 80 people with kitchen facilities available for your caterer. We have state of art Audio and Visual Equipment for use with our A/V tech. We do not require that you have pre-marital counseling but we encourage you to meet with the minister who will be performing your wedding. Counseling is available upon request. 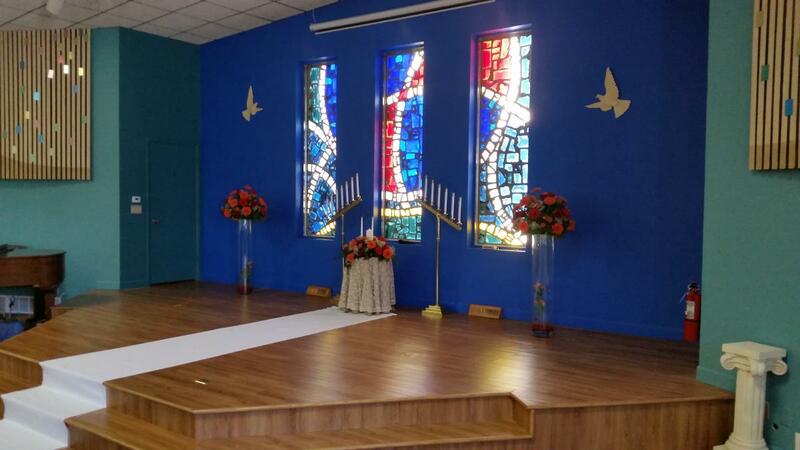 It is not necessary to be a member and we are happy to accommodate your choice of officiant.